Mrs. Judith Ann Bisso, age 83, passed away Monday, January 15, 2018. 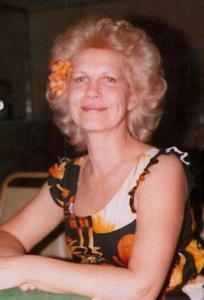 She was born in Calumet City, Illinois on November 15, 1934 to Albert & Thelma (Hively) Juhasz. Mrs. Bisso had been employed as a chef for various restaurants in Indiana and Illinois. Judith enjoyed sewing, gardening and dancing. She will be greatly missed. Daughters, Catherine (James) Orkis of Grand Haven, Stephanie Lendabarker of IN, Carole (Rodney) Spencer of IL, Annette (Mike) Wagner of IN; 5 grandchildren; 5 great grandchildren; 1 great great grandchild; sisters, Gail Milton of MN, Nancy Miller of IN, Cindy (David) Bellovary FL; brothers, Charles Juhasz of NM, Mike (Linda) Juhasz of MI.